When Patrick Maloney made the decision to play for Oyster Bay in his senior season, he did so with the goal of winning a Nassau County Championship and then a New York State Public High School Athletic Association (NYSPHSAA) Championship. 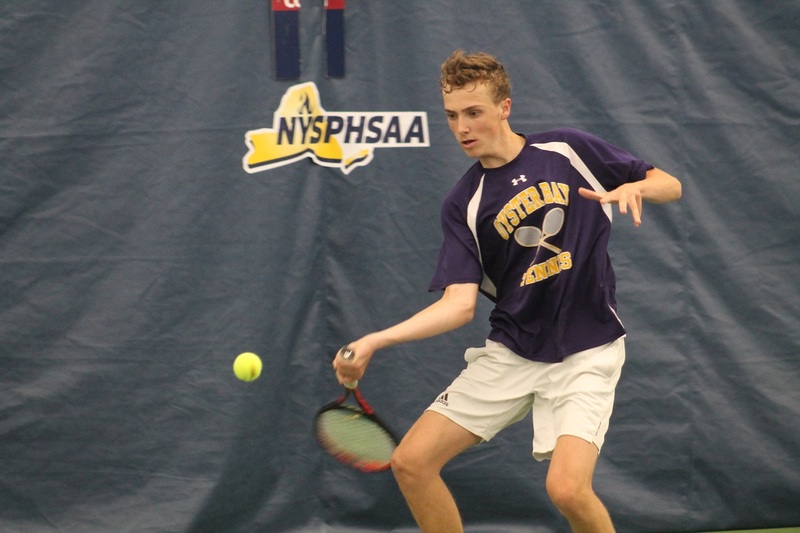 He accomplished the former a couple of weeks ago at Eisenhower Park in East Meadow, and completed the latter on Saturday at USTA Billie Jean King National Tennis Center, capturing the NYSPHSAA Singles title with a 7-5, 6-2 victory over Geneva’s Ryan Fishback. Maloney received what was, by far, the biggest test of his season against the sophomore Fishback. The University of Michigan-bound senior struggled to get things going on his serve early on in the first set, and both players traded breaks to bring the opener to 5-5. Fishback held a game point in the 11th game and had a chance to take a 6-5 lead, but Maloney dug in and fought back to earn the break. A few points later, he served out the first set. He carried that momentum into the second set, breaking Fishback early on and never looking back. Maloney didn’t drop a game throughout the regular season, and didn’t lose more than three games in any set throughout the county or state tournament. Despite that, Maloney didn’t flinch when he found himself tied deep into the first set. Maloney’s singles title marks the third straight year the NYSPHSAA has come from Nassau County. Plainview JFK’s Yuval Solomon won back-to-back NYSPHSAA titles in the previous two seasons. Shawn Jackson of Susan Wagner, the PSAL (Public School Athletic League) Singles Champion, won the Federation Cup after Maloney withdrew with a foot injury. 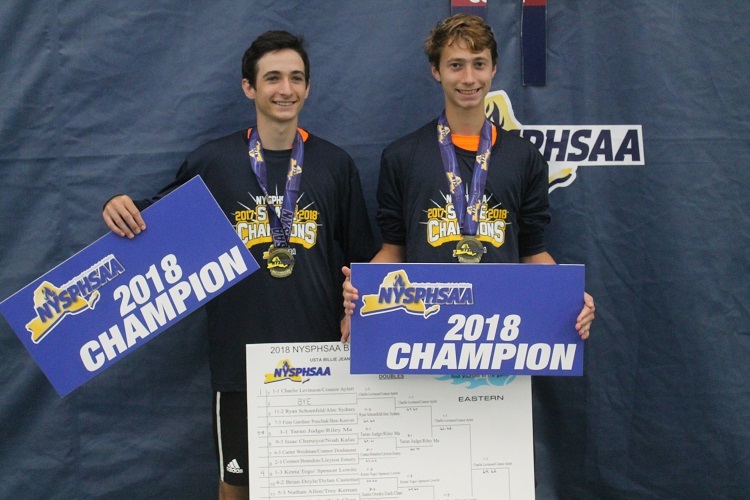 In the doubles final, the top-seeded pair of Charlie Levinson and Connor Aylett of Mamaroneck came back from a set down to beat Scarsdale’s Luke Smith and Nikolay Sahakyan 2-6, 6-1, 6-4 to win the NYSPHSAA doubles title. The duo went on to defeat the PSAL Doubles Champions, Beacon's Donovan Brown and Julian Szuper, to win the New York State Federation Title.